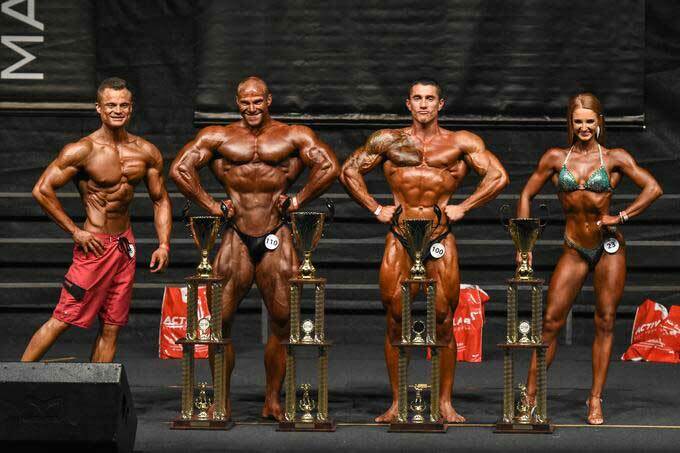 Bianca Sackl (Women Bikini Fitness, Austria), Aljaž Kupnik (Men’s Physique, Slovenia), Mario Bošnjak (Men’s Classic Bodybuilding, Croatia) and Tomislav Damjanović (Men’s Bodybuilding, BiH) won the overall competition at 5th International Competition Maxximum Open which took place on Saturday, October 8th 2016, in Medvode, Slovenia. Brilliantly and smoothly organized event attracted numerous visitors, who witnessed an excellent line-up of more than 100 competitors from Slovenia, Italy, Austria, Slovakia, Croatia, and Bosnia and Herzegovina. The international board of judges did an excellent job in selecting the best in all of the 18 categories and overall competitions. The competition was organized by the IFBB Bodybuilding Association of Slovenia and the company Maksimum d.o.o.